Apple has launched its online store in Russia, meaning that Apple fans among the country’s 140 million population can buy iPhones, iPads, iPods, Macbooks and other Apple products and accessories direct from the company online. The opening of the store — spotted by 9to5Mac — is significant because the US firm does not have a physical retail presence in the country, so this marks the first time it has been in a position to sell products directly in the country. It also follows the opening of Apple’s iTunes Store which was expanded to included Russia at the tail end of 2012. The Verge notes the service is initially limited to users based in Moscow and St. Petersburg. The Russian retail site includes a live chat service and telephone hotline customers can use to clarify details with a staff member. That is, of course, in addition to Apple resellers who provide an on-the-ground retail presence for customers in the country. 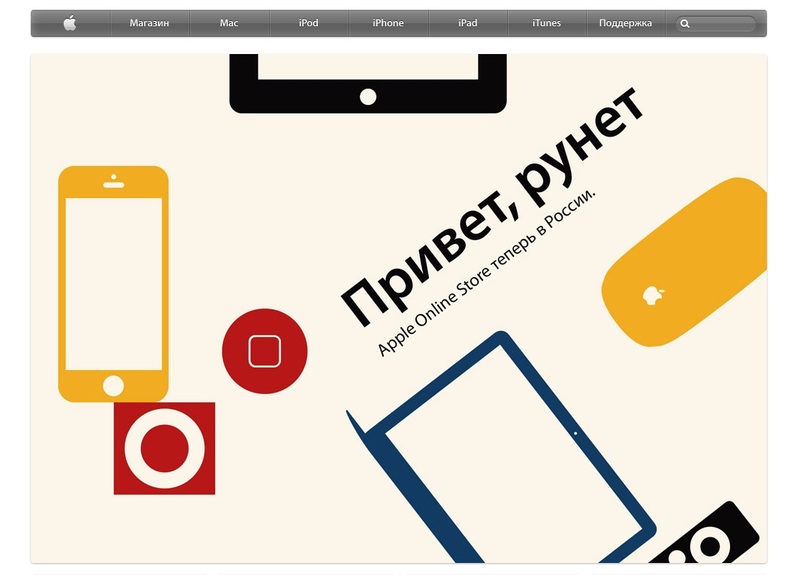 Russia-based Apple fans are being directed to the store via Apple’s Russian site, which includes a very prominent link to its sparkling new retail site. 9to5Mac uncovered plans to suggest that Apple is searching for the right real estate with a view to opening its first physical Apple Store in Russia. That is the logical next step now that its Web-based retail presence is established. Apple expanded its iTunes Store into India and Indonesia last year, and it would make sense to see its online retail store expand to these markets too. Apple has been pushing its iPhone in India using aggressive price reductions for older models. Earlier this year it confirmed plans for both Web and physical sales sites in Jakarta, Indonesia’s capital city. At its recent WWDC event, Apple said its retail stores now bring in 1 million daily visitors to its 407 locations in 14 countries. Meanwhile, the company continues to see success selling digital goods online. Tim Cook revealed that there are now 575 million iTunes accounts and 900,000 iOS apps available in the App Store. What’s more, the company revealed it has paid out over $10 billion to third-party developers, half of that in the last year alone.